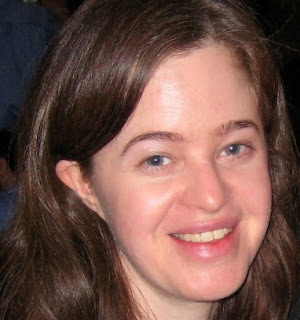 Today we are happy to present author Caroline Nastro. Caroline is the author of the delightful picture book, THE BEAR WHO COULDN'T SLEEP, illustrated by Vanya Nastanlieva (North South Books). Be sure to enter to win one of two copies of THE BEAR WHO COULDN'T SLEEP at the end of this spotlight! I started writing and directing plays in college. I loved the whole process of collaborating with actors and designers⎯telling a story with visual and sound elements. Then several years later, I was working on a documentary film in Maine. We were filming a beekeeper and he told us how his bees would travel about a mile or so from the hive in search of flowers. And I realized, for the first time, that honey contains the essence of flowers from a certain area, that you can get a sense of a place from the food you eat, kind of what the French talk about with regards to wine⎯that concept of terroir. Congratulations on your debut PB, THE BEAR WHO COULDN’T SLEEP. What inspired this story? Central Park is one of my favorite places in New York City. While walking home through Central Park on a snowy day, I thought about how nice it would be to take a break in winter, like the animals who hibernate. I wondered what New York City would look like if everyone just hibernated during the winter. How quiet and peaceful that would be. And then I thought about a bear who wants the exact opposite. He’s tired of hibernating, and taking a break in the winter. He doesn’t want to sleep. He wants excitement, to go on an adventure, so he goes to New York City, the city that never sleeps. I also grew up in New York City, and all of the places mentioned in the book have a special meaning for me. When I was little, my parents let me, and my sisters and brother, go to the neighborhood stores, to school, and to the park on our own, so like Bear, I also know what it feels like to be little in a big city…and I think that also inspired the story. You’re a playwright and theater director. How did these skills influence your picture book writing? I think my experience in theater and film has really influenced the way I write picture books. I picture the story as I’m writing it, almost as if I’m writing or directing scenes in a play. I imagine the characters speaking to each other, and what their actions might be. And then I add the words to the scene as I’m imagining it. It helps me to see when the story can be told with pictures alone, and when the action needs to be “narrated” with text. Vanya has a background in film animation, too. And I think that is also one of the reasons why we worked so well together. We are both used to that collaborative process. 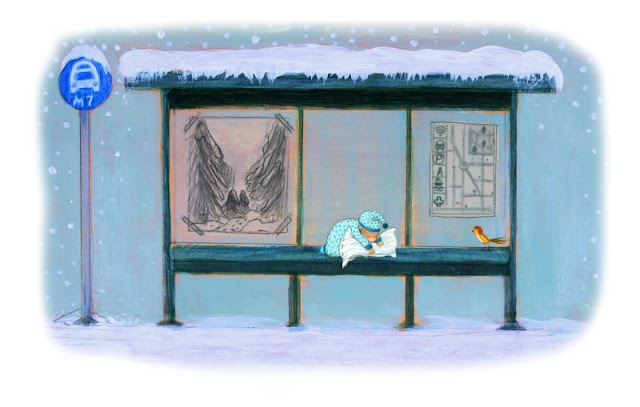 It’s what I love about theater and film—those collaborative moments which can often be quite magical and inspiring—such as the bus stop scene, which was Vanya’s idea. I re-worked the text to fit the image. 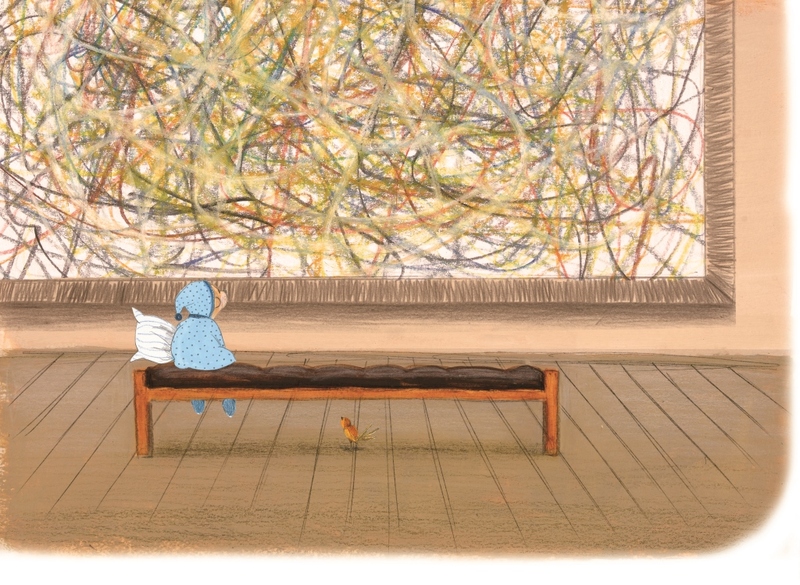 And she did the same with the vignettes scene; I had the idea and she created the illustrations for it. 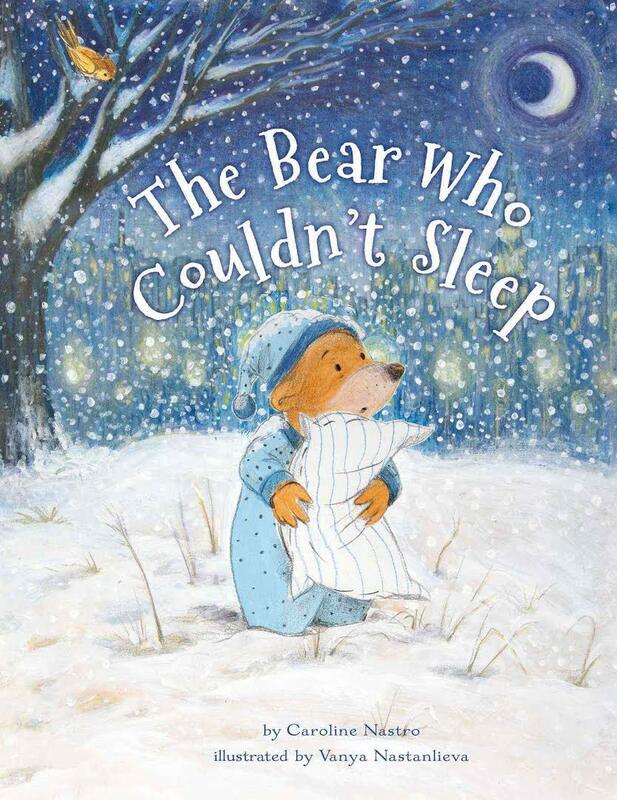 I think that collaborative process that we were both used to from our experiences in film and theater made THE BEAR WHO COULDN'T SLEEP a better book. Vanya and I have another picture book project in the works about a one-eyed mule who saves the lives of early Californian pioneers. And I’m also working on several projects with an illustrator named Anca Sandu, who went to school with Vanya at the Cambridge School of the Arts. 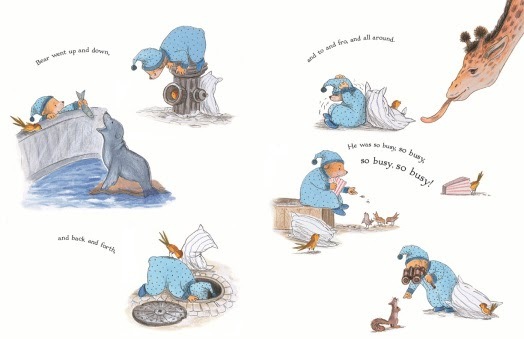 Anca is published with Random House UK, and she’s a wonderful illustrator too. She’s created sketches and storyboards for some of my stories, and I’ve written the text for some of her very original story ideas (including one about an invisible monster), and we’re presenting these projects to editors. We’re also currently working on a fun picture book project with a chef. For me, joining a critique group has been amazingly helpful. We just had our monthly meeting yesterday, in fact, and during the meeting I was thinking about how much I love my group. There are five of us, and we’re all writing children’s books, and it’s so nice to be able to present what I’m working on to them first and hear their feedback before I submit it to an editor. And it’s also motivated me to write many picture books, which I think is also good because you never know which one of your stories will appeal to an editor. So I’d definitely recommend joining a critique group! I think SCBWI is a great resource, too, especially the NYC Metro SCBWI, my local chapter. They have a wonderful series on Tuesday evenings, which has given me the opportunity to meet several editors and develop my work. Finally, I think the Rutgers Council on Children’s Literature is a great organization. They have a wonderful conference that I attended that actually led to my first book being published, for it was there that I first met Beth Terrill, the editor at North South! I don’t think many people know that, in college, I hosted a radio show called Maine Arts where we invited artists—storytellers, musicians, folk singers, sculptors—from all over the state to come and talk about their work. It was a fun, quirky show. I met a lot of colorful characters, including a logger from the North Woods who sculpted tiny, delicate wooden figurines with his ax and chainsaw! I’m on Twitter (@carolinenastro) and Facebook, and you can get in touch with me through North South too! 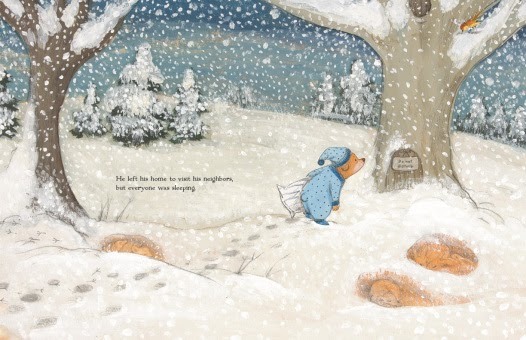 Caroline Nastro’s first picture book, THE BEAR WHO COULDN'T SLEEP, was published by North South Books in October 2016. She is an award-winning playwright, screenwriter, and theater director. She currently lives in New York City. Wow! This looks like an adorable story! Since I can't sleep either most nights, I think Bear and I might have a lot in common. If I win a copy, I could read this sweet story instead of counting sheep. ') Thanks and good luck everyone! Congratulations Caroline! I can't wait to read your book! Lovely book. 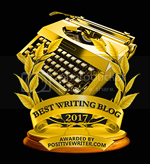 Congratulations, Caroline, on starting this adventure as a PB writer! This book looks adorable! Congratulations, Caroline! I am really excited to read this book Caroline! My daughter is moving to NYC next month and I will be thinking about all of her favorite places there when I read your book. 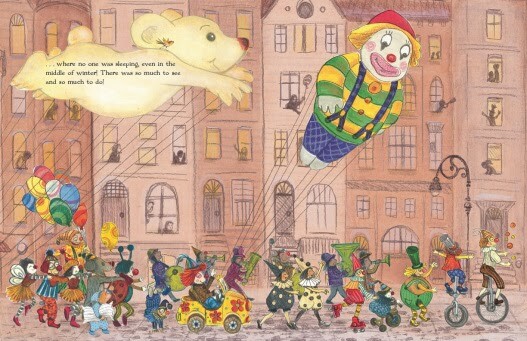 I love how you imagined what NYC would be like if everyone hibernated. Great imagination and I do believe you being a playwright gives you your unique storytelling ability. Congratulations on your PB debut! Thank you, Pamela! I hope you enjoy it! This looks charming! I'll have to look into this further! This book looks wonderful -- another great one from North South Books! Thanks for sharing your story and your beary special book, Caroline. Congrats! This looks lovely! So enjoyed getting to know you, Caroline! Thank you, Joanne. Thanks for reading the interview! This book will be excellent to read at bedtime! The illustrations are adorable. Thanks for sharing today! Thanks for your insight, Caroline. Your book looks adorable. With eight grandchildren, I have many eager ears and eyes waiting for stories such as this. Wow, eight grandchildren! Congratulations! I hope they like it! Thanks for sharing, Caroline. I'm sure many adults (like me) will relate to THE BEAR WHO COULDN'T SLEEP. Love the illustrations! I love the idea of a non-hibernating bear in NYC and a one-eyed soul-saving mule! I will definitely be following your work. Vanya's work is beautiful. Your heart must have leaped when you first saw what your bear looked like! I've read The Bear Who Couldn't Sleep & LOVED it! NYC is such a special place & truly a city that never sleeps. Congratulations on such a super debut & continued success with future endeavors. Love the book, and enjoyed reading the article about you and how you happened to write it. Looking forward to reading more of your books! Hi Stitcher, I'm glad you liked it! Thank you! I like that the places you mention in the book are real and mean something to you: blending reality with imagination. I'm sure some of your readers will recognize them too. Hi Natasha, Yes, we really tried to be as accurate as possible in depicting NYC...the Pollock painting is like the one at the MET, and the M7 bus is the one that runs down Broadway. Thanks for reading it! Critique partners are the best. Congratulations on The Bear Who Couldn't Sleep and your next pioneer story! Hi Wendy, Yes, they are the best! It sounds like you're part of a writing group too. Good luck with your projects!